The waking forest has secrets. To Rhea, it appears like a mirage, dark and dense, at the very edge of her backyard. But when she reaches out to touch it, the forest vanishes. She's desperate to know more--until she finds a peculiar boy who offers to reveal its secrets. If she plays a game. The strangers are just the beginning. Something is stirring in the forest, and when Rhea's and the Witch's paths collide, a truth more treacherous and deadly than either could ever imagine surfaces. But how much are they willing to risk to survive? 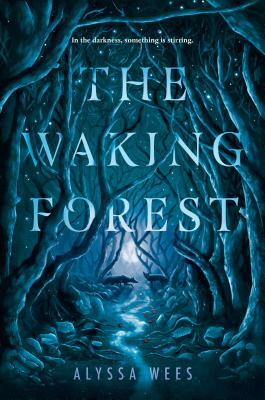 Alyssa Wees's debut novel is The Waking Forest. She lives and writes in Chicago. To learn more about Alyssa and her writing, go to her website, alyssawees.com, and follow @AlyssaWees on Twitter.